It's the end of an era for Ada Fenwick and Hetty Watson when their neighbour Eliza Porter decides to leave her home after nigh on sixty years. The new family who moves into Eliza's old house seems quiet and respectable at first. Ada and Hetty welcome them as friends, while Ada's son Danny can't help but notice the pretty girl from Number 22. But all is not what it seems. For Tom Phillips is a bullying drunkard and his wife and children live in fear of his violent attaks. When Ada and Hetty find out, they rally the neighbours to help protect the family. Then fate steps in and life for the Phillips family changes for ever. 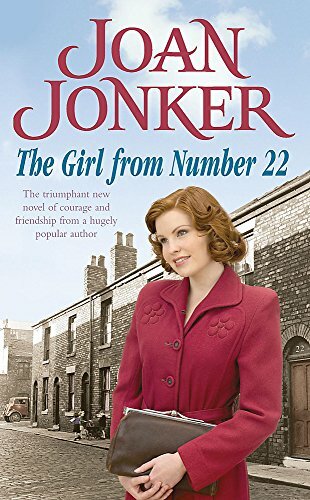 Joan Jonker was born and bred in Liverpool. She led a rich and varied life and was devoted to her family. Before writing novels, she worked tirelessly for the charity-run organisation Victims of Violence which she founded in 1976. Sadly, Joan died in 2006, but she is remembered fondly by her family and friends and her multitude of fans.